The Case of the Wandering Waterline? I’m currently working on a project to create a reasonably accurate drawing of the Quapaw… perhaps to be printed as a poster (if it comes out decent). …in that photo, you can see that the waterlines seem to be in agreement with that 13′ 9″ number (between the 3 and 4 on the stem markings). However, in pretty much everything else I’ve ever seen in photos or documentation (and personal experience), draft/waterline for AT(F)s is shown as 15′ 4″, (the waterline is painted above the 5 on the stem). The difference basically moves the painted waterline from just below the exhausts (on the “side-burner” AT(F)s), to just above them. 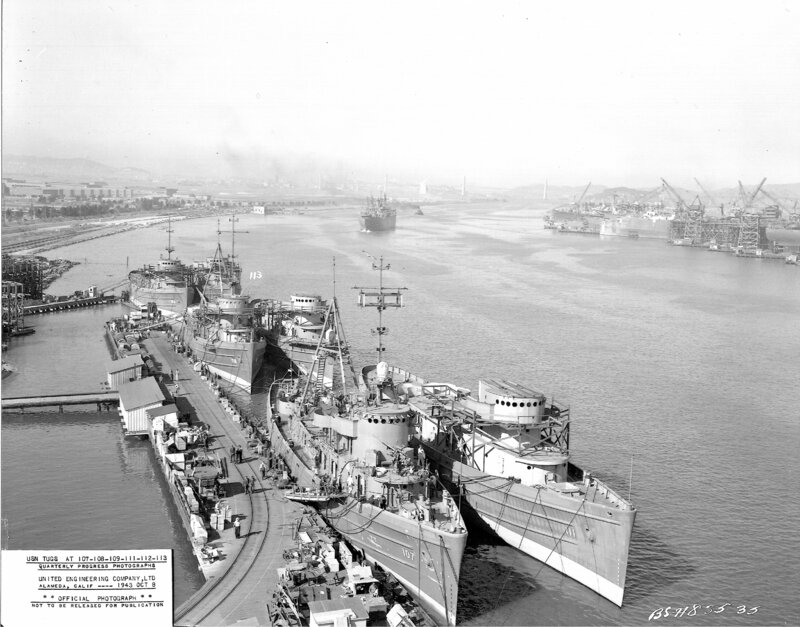 For my drawing, I’m going to use the 15′ 4″ figure, since that’s where I painted it on the Quapaw when I was aboard… but I’m curious as to why the draft/waterline on these ships seems to have moved . Does anyone have any thoughts or ideas on this? * I understand that these drawings were NOT meant to be 100% accurate – like actual ship’s plans would be. 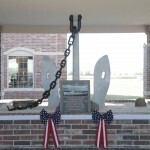 Some pictures from the Anchor Dedication at Quapaw Museum, Quapaw Oklahoma. 7 November 2013. 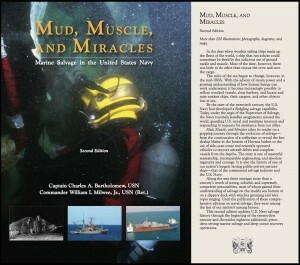 Here’s a fantastic book for any former Quapaw sailor as well as anyone with an interest in US Navy marine salvage. A few months later the waters off the coast of Vietnam were the site of another important search and recovery operation conducted for a very different purpose. As the Air Force C–5A transport #68218 flew outbound from Vietnam on 4 April 1975 with a load of refugees, mostly children, it suffered a rapid and complete decompression that carried away the after pressure door and a major portion of the after cargo ramp. The aircraft returned safely to Tan Son Nhut airport; the door and ramp fell into the South China Sea from 23,400 feet. Because passenger-carrying formed a major part of the mission of the C–5A transport, the Air Force wanted the door and ramp back to determine the cause of the failure. Seventh Fleet ships Deliver, Abnaki, and Quapaw, under the overall command of Commander Task Force 73, Rear Admiral John D. Johnson, proceeded to the scene at their best speed while the Supervisor of Salvage mobilized a contractor search team. The Air Force Accident Investigation Board undertook the task of determining the probable impact point from the inertial navigation position of the aircraft and a ballistic trajectory analogy. Lieutenant Commander J.A. Mack, the Seventh Fleet Salvage Officer, was assigned to coordinate the overall operation, while Lieutenant Commander Gerald L. Anderson, commanding officer of Deliver, com- manded the salvage force at the scene. While waiting for the search team to arrive from the United States, 230 dives were made to search the high probability impact area visually. Some pieces of debris located by the divers helped to refine the search areas. The operation took on unusual urgency because North Vietnamese and Viet Cong forces were very close to delivering the coup de grace to the Republic of Vietnam. By the time the search team arrived, the Army of the Republic of Vietnam could not guarantee the security of shore-based precision navigation stations. Inability to place the navigation stations ashore resulted in an innovation. Deliver and Abnaki moored and became floating bases for the precision navigation equipment while Quapaw carried the side-scan sonar and navigation system receivers. The concept worked well. Forty-eight hours of searching produced no contacts. Diving operations and refinement of the search position continued. Increasing pressure ashore began to affect the operation during the weekend of 26–27 April. Activity in the mountains north of Vung Tau increased and refugee boats began to appear in the search area. Round-the-clock search operations continued. On Sunday morning two substantial contacts were made and marked. Divers identified the cargo ramp and a major portion of the cargo door a few hundred yards away. Quapaw recovered the ramp first, then just at dark, the door. A search for the remaining section of the door began as soon as the first segment had been secured on board. By 10:30 on the night of Sunday, 27 April, only a few hours after the ramp and door segment had been recovered, Commander Seventh Fleet ordered the operation terminated and the area cleared. The situation ashore had deteriorated too much to continue. Enough debris had been recovered to permit analysis of the failure.35 The Navy’s ability to recover objects from the ocean had taken on a new dimension with the recovery of free-falling debris from an altitude of several miles. Finding a needle in a haystack was easy compared to this kind of search. This operation and many similar ones were now demon- strating that objects lost in the ocean under almost any conditions could be located by combining the proper technology with the patience and determination to work thoroughly and methodically. The Quapaw Anchor has made it to Quapaw OK. I am attaching a picture of them placing it at the Quapaw Tribe Museum. Hope you enjoy it. Been a while since I contacted you so thought I would share the first online version of the Association News Letter with you. Also, for those of you that may not have heard, the Quapaw sank at the pier in Richmond, CA late last year. She was refloated and has since been turned over to a salvage yard and dismantled. There are many pictures in the newsletter showing the work to get her afloat one last time as well as her and the Moctobi in dry dock being dismantled. The ship lives on though. 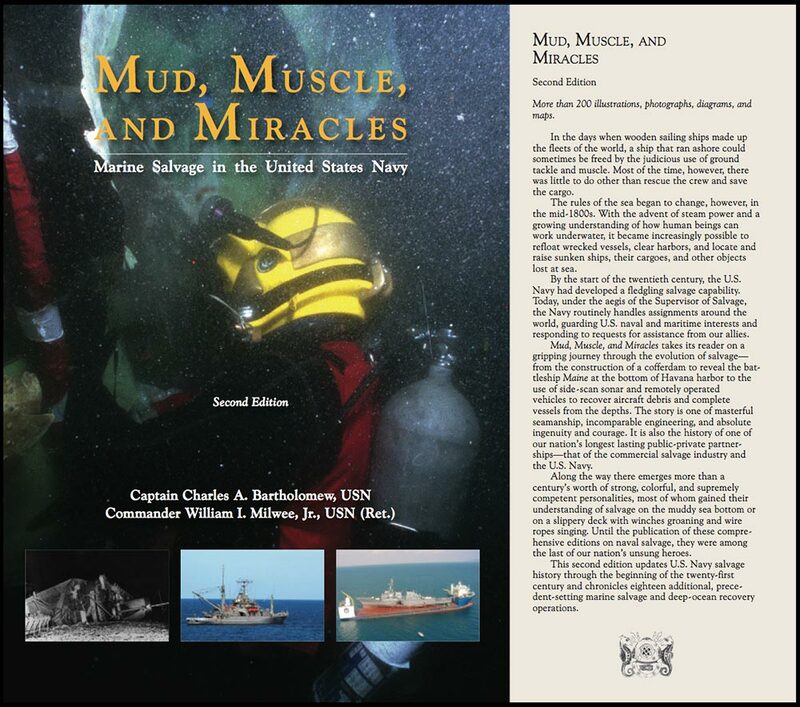 You will find an article o the USS Hoga, a WWII tug that will be turned into a museum, she received a Water Tight hatch from the Quapaw. I remember how hard it was in the 80’s to get parts for those doors and hatches. I did some trading with the New Jersey for a few parts then just began manufaturing my own from newer parts that did not fit properly. The Hoga was a good recipient for transplant as her crew used the Hoga to help my Dad and Uncle along with the rest of the USS Nevada crew on 7 December 1941. 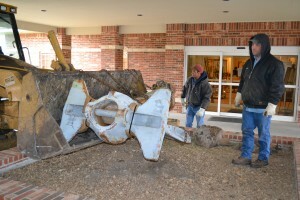 The association was also able to secure the bow anchor from the ship. The anchor with a shot of chain was delivered to the Quapaw Tribe Museum in Quapaw, OK. where it will be displayed in the courtyard in front of their museum. There should be a dedication ceremony later this year. The association currently has 85 paying members, 57 for 2013 and 28 from 2012. 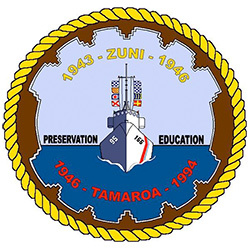 We have maintained our dues at $10 per year, that is enough to cover newsletter publication and mailings as well as our donation to the Tug Museum in the name of deceased members. 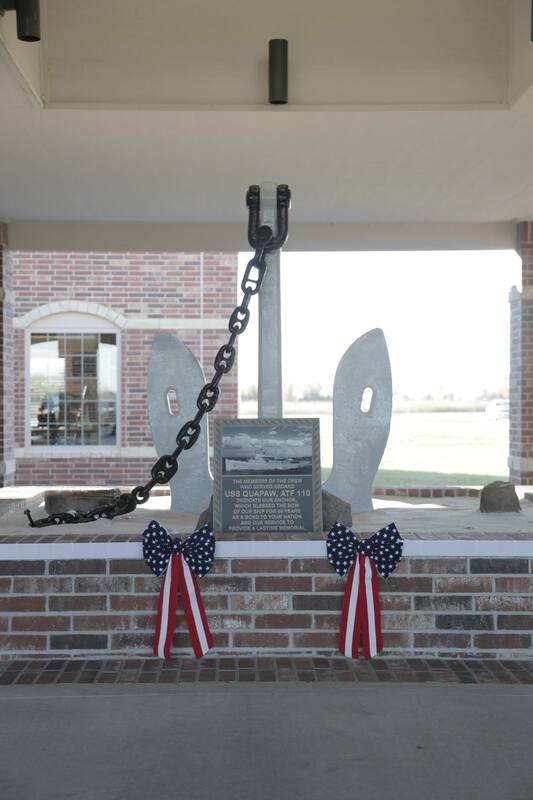 The association has also been able to place a plaque at the Navy Memorial Foundation in memory of the Quapaw and will be having a brick placed at a WWII memorial in memory of the ship. 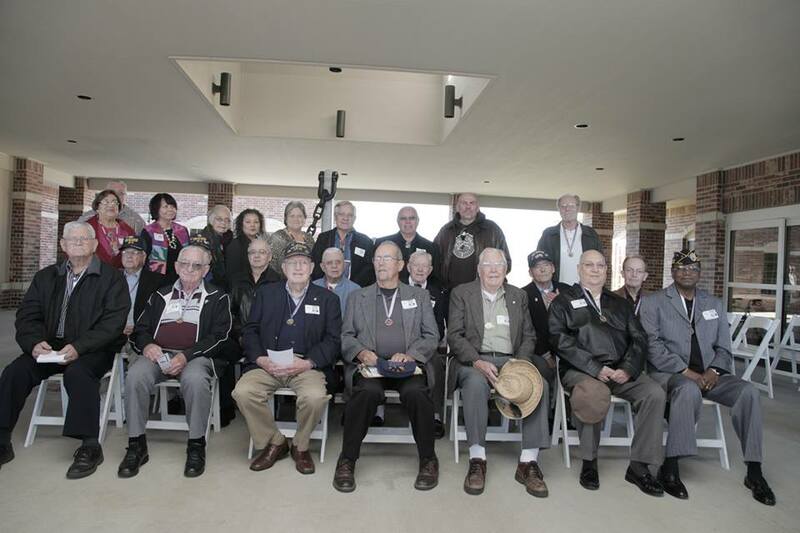 The majority of our members are WWII and Korean War era shipmates. 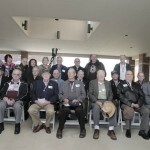 In the last year we have lost half a dozen members as they passed over the bar. There are only a couple of us from the Decom years of the ship that are active but I would love to see more of us in the association. I doubt it will be too long and we will be needing new Officers (younger) to maintain the association as our older members need to step down or pass on. 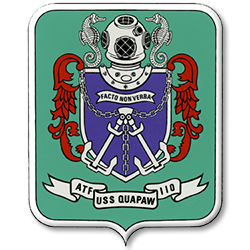 Please consider joining us as members and we will be able to carry the memories of the USS Quapaw for many years to come. I haven’t made a reunion yet (darned having to work to pay the bills) but I do hope to make the dedication of the anchor this year. I will try to let you know when it will be done, maybe some of you can make it out as well and we can get together again. Drop me a line, I would love to hear from you all. 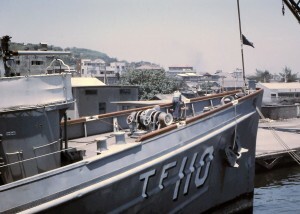 This snapshot was taken at Cam Ranh Bay in April 1969. At that time, I was a BM3 aboard USS Albatross MSC 289. Albatross had just completed a Market Time patrol and made a brief stop as we steamed north to our home port of Sasebo, Japan. I remember being impressed enough with her size to snap the photo. I thought you and members of the Quapaw Association might enjoy seeing it. Best wishes. Usernames will be assigned on a first come, first served basis. I’ve set it up so that members will be able to pay their dues online, but I’m not sure how much interest there is. Hi: Thanks for your email. I have forwarded this email on to Hugh Doyle. I read the Captain’s note to you (above) and I think he omitted one word. 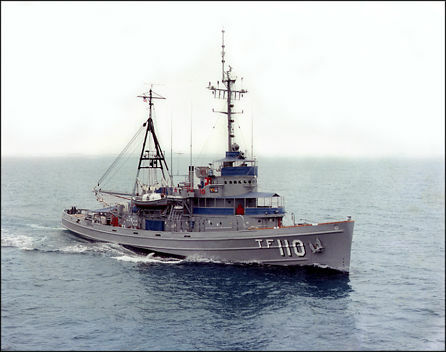 USS QUAPAW was most certainly a part of the 50+ fleet of ships gathered for Operation Frequent Wind, but your good ship QUAPAW was not one of the ships that escorted the remnants of the Vietnamese Navy from Con Son Island to Subic Bay. The ships were KIRK (with CDS-23 embarked), COOK, TUSCALOOSA, ABNAKI, DELIVER, and LIPAN. In addition, we received logistic support from time to time during the transit from a number of ships, such as MOBILE, FLINT, and a couple others. A few years back, we had to pester the Navy to review their own records (and correct them) so that KIRK would be recognized as one of the Frequent Wind units. It took them a while, but we were finally successful (Captain Jacobs was the key “mover and shaker” in untangling that administrative and bureaucratic mess.) As a result of that effort, our KIRK Frequent Wind shipmates were finally recognized and authorized the award of the “Vietnam Service Medal.” You might want to have someone in your USS QUAPAW Association double check with the Navy’s “Awards Manual” (it’s online) and confirm that your good ship is on the list as a part of that large force back in 1975. And if you need some help rattling the Navy’s cage, please let us know and we’ll give you our “lessons learned” when we had to do it. Bravo Zulu to all involved in Operation Frequent Wind. And many thanks to Paul Jacobs and Hugh Doyle for the information! Yes the tug that sank at Richmond, Calif. She is now back up. Still looks proud. I wanted one or both to make static displays out of, putting one in Mare Island, and one maybe in SF. The Harbor will not let them go, they want the scrap money. How can we force the City Harbor to stop the scrap plans of such historic vessels? Some kind of injunction or law suit, a *cease and desist* order or request to halt activity? I don’t know law, I was a CM. This must be stopped, this is an outrage to destroy such historic items. I love these ships and would like to find a way.